International Truck Hood Photo Picture Classic Cars for sale & Classifieds - Buy Sell Classic Car & Classic Truck Classifieds. 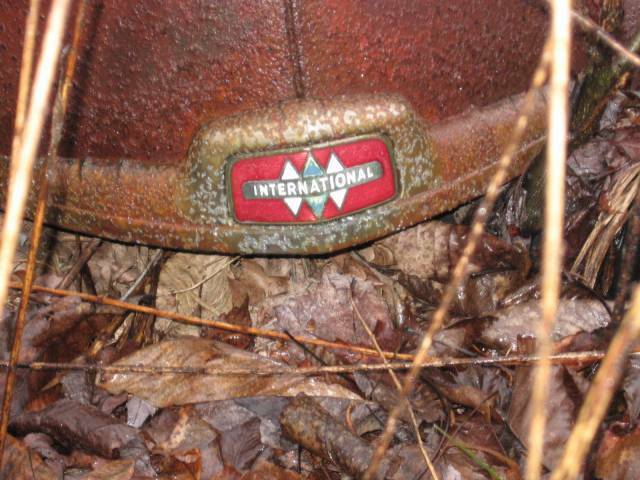 Here's an old International. The hood was lying on the ground next to the truck. In the drab rainy woods, that emblem really stuck out. I'm surprised no one has stole it yet. All the abandoned cars around my town are stripped of all their valuble parts.